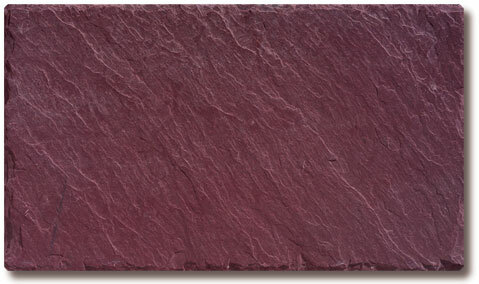 Royal Purple - A beautiful, nearly clear, dark purple slate. Some pieces may have small markings of green. Provides a contrasting roof for walls of light shades, or a harmonizing roof for brick walls. Some weathering to buffs can occur.